Making travel dreams a reality is our main aim at Josh Zuker Travel and we are especially proud today from working alongside Viva Melbourne on planning their next big adventure. 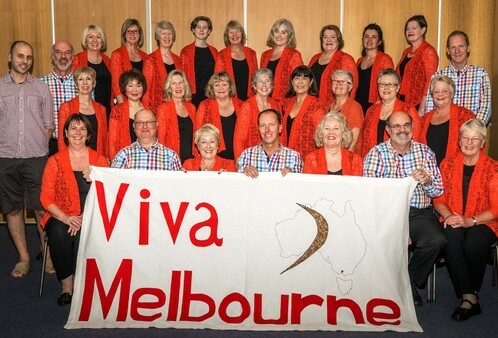 Viva Melbourne is a 44 strong ensemble that with our help has planned their European and Switzerland tour this year to compete as part of the 2015 Alta Pusteria International choir festival. Organising the trip has been a major business venture for Josh over the last 10 months and has made him appreciate all the work he is able to do to help people achieve their dreams. Travelling not only changes our surroundings but it can be the change we need to strive for our passions. This has been such a fantastic opportunity for Josh Zuker Travel and we want to welcome all groups to feel confident that their travel agents have the skills to deal with large bookings and secure your spot. For more information on Josh’s great work with Viva Melbourne and their travels visit Travel Monitor. To get more information on your next travels contact Josh today on 1300 761 901 or enquire. Keep you eyes peeled for more of Dani’s blogs here each fortnight or visit Traveller Envy.